Well it was a long weekend for everyone but we are finished and I am happy to present to you Team 3477 Chaos Vortex's Rookie Robot General Disarray! The name of the robot has a dual meaning. First with the name Chaos Vortex we have decided to make our mascot Professor Chaos from South Park and his sidekick is named General Disarray. The second reason is to honor the man who made our robotics team possible, Ray Trinidad. He is our school's dean of students and found the funding for it to start. He is also a huge perpetrator of puns and so we thought that the play on words would further honor him. Unlike many other robots we have seen, we decided to go with a robot that picked up the tubes from the inside as opposed to a claw from the outside. We also have a camera that provides a first person view of the field. We hope this will provide a better view of the field since the tubes will obscure the driver's vision. It being our rookie year we decided to go for the low goals but the medium goals are a possibility. We are going to work on the height and tension of the bands when we actually get onto a field on March 10th. 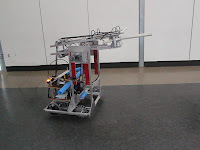 We wanted to make sure that we built a great robot but however it does at competition, the students learned so much. They can honestly say that they have built a robot from scratch. One of my sophomores learned LabView programming which will benefit him next year but also with potential future employers who use it (e.g. Disney, LAPD Bomb Squad, Qualcomm, and many other prominent engineering firms). Others are learning Autodesk CAD, welding, soldering, and various power tools. I wouldn't trade that for any award in the world. 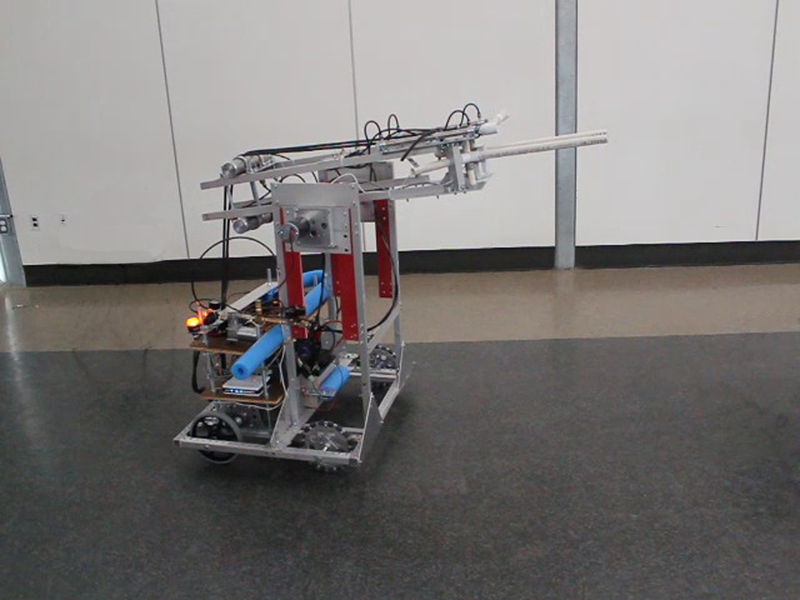 In other exciting robot news, we learned that our team is now sponsored by General Dynamics! I could not be more grateful to one of our mentors Nate, for helping us secure this support as well as being here throughout the season. We could not have done this without him. The support from our other mentor Mike was also much appreciated for his machine shop and expertise. If you are in the South County in San Diego you might have caught that our team was featured on the front page of the Union Tribune (another picture). Such a wonderful memento for my students to honor their hard work. Our team is working very hard to make sure that robotics becomes equally popular to sports and it was nice to have that recognized. While the late nights have stopped, the work continues with preparing the marketing materials, programming, working on the minibot and the other 30lbs of parts we were allowed to withhold. Just a couple of quick weeks until the competition and we can see how General Disarray and Chaos Vortex does! 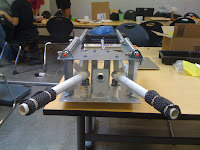 If you would like to follow our robotics team check out the Chaos Vortex Facebook page and @ChaosVortex on Twitter. Subscribe to BrokenAirplane for the latest in Education Technology resources and news.